High-quality schools brought Johnson’s family to Livingston Parish when she was six years old. With deep Livingston Parish roots, Johnson wants to help connect her community to the initiatives of the Chamber. “I look forward to helping the Chamber grow and connecting my network to the resources that the Chamber offers,” said Johnson. After graduating high school, Johnson was hired by Hancock Whitney Bank. 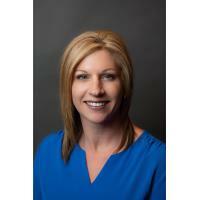 Now she is a financial center manager and oversees consumer and small business development. “I was blessed to continue my education through the bank and work my way up,” said Johnson. In the future, Johnson said she wants to see Livingston Parish continue to grow and prosper sustainably and responsibly.